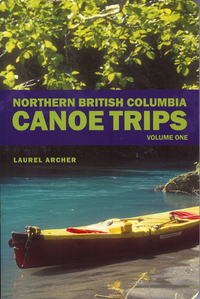 This first volume of the guidebook series Northern British Columbia Canoe Trips describes in detail eight northern BC paddling routes over eleven rivers, and is designed to provide canoeists with all the information they require to plan a river trip appropriate to their skill level and special interests. a summary of the main attractions of the tripwhere to start and where to finish along the rivertrip length in days and kilometresrequired mapssuggestions about when to gostar ratings for difficulty and for historical and recreational valueNorthern British Columbia Canoe Trips: Volume One covers numerous routes never documented in any publication before, including the Taku, Jennings, Omineca and Gataga rivers, among others, as well as more well-known favourites such as Fort Nelson and the Dease. The book provides paddlers of all types with a variety of river trips to choose from based on comprehensive and comparative information, as well as detailed and specific navigational notes to aid them along their chosen route.